With football training camps well on their way, we, at BPI Sports, thought we’d put together a list of the top sports supplements to support football training. That’s right, between the 40-yard dashes, vertical jumps and drills, you’ll need a lot of RECOVERY! 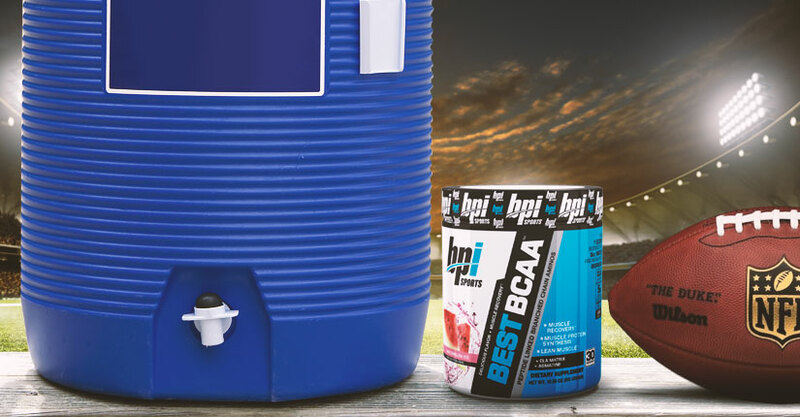 BPI Sports recovery supplements such as Best BCAA™ and Best Protein™ powder can help you repair the right way so you can give it your all on the field. Going through two-a-days for training camp can be grueling. Proper supplementation can help you recover quickly between practice sessions, helping you repair your body so you’re ready to go again the next day. 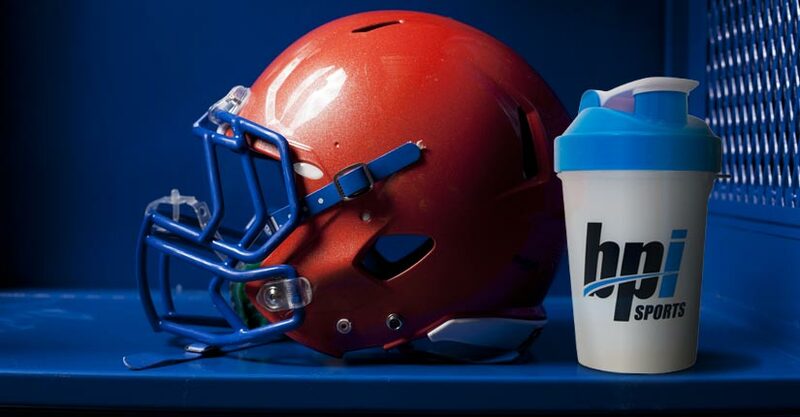 It’s important to keep protein and BCAA intake high during football training camp and throughout the season due to the amount of practices, games and training sessions. Ultimately, you want to recover quickly, prevent losing muscle mass and maintain performance levels for better practices. Start your day right with one or two scoops of Best Protein™ in your favorite flavor, from Banana Dream and Vanilla Swirl, to S’mores and more. This BPI Sports protein powder formula features high-quality, 100% whey proteins to help build lean muscle, as well as recover properly. One to two scoops in a protein shake is an excellent breakfast. If you prefer, you can have a Best Protein Bar™ instead, since it’s not heavy on the stomach. BPI Sports offers various flavors, including Cookies and Cream, S’mores, Cinnamon Crunch and Chocolate Peanut Butter. Eating a Best Protein Bar™ for breakfast will give you 20 grams of protein before you set out for football training camp. Before you head out to another practice session, grab a scoop or two of Best Aminos™ with Energy. It boasts the repairing benefits of branched chain amino acids, plus glutamine for sustained hydration, energy and endurance, so you can tackle, throw, block and everything in between. Best Aminos™ with Energy has no artificial colors or flavors, and is formulated with an extreme electrolyte hydration matrix for ongoing energy and focus. When training or on the field, you can also supplement with Best Creatine™ for increased muscle gains, improved athletic performance and of course, recovery. BPI Sports’ Best Creatine™ features six advanced forms of creatine, including creatine AKG, creatine MagnaPower® and creatine monohydrate. The BPI Sports formula enhances your body’s capacity to work harder and lift heavier when performing high-intensity workouts. One scoop of Best BCAA™ is great for your intra-workout supplementation. Thanks to oligopeptide enzymatic technology, this bonded chain of amino acids formula may act as a better transport vehicle for faster absorption and recovery. Best BCAA™ includes leucine, isoleucine and valine for improved repair, but also to reduce soreness and help your body prevent muscle breakdown. It’s a healthy alternative to other popular sports beverages that are loaded with sugars. Recovery is most important during this time, so you can opt for any of BPI Sports’ recovery formulas, including Best BCAA™, Best Creatine™ and Best Protein™. Just pick your favorite flavors, mix in water and drink up to reap the recovery benefits and get ready for the following day.